I played it on a Nintendo DS Lite. desmume is an emulator though, and not an accurate one. melonDS is currently the most accurate. Can you fix it because I have finished it and I'm not glowing in blue only in red? the game crashed and that's a shame because I want to play the hack. 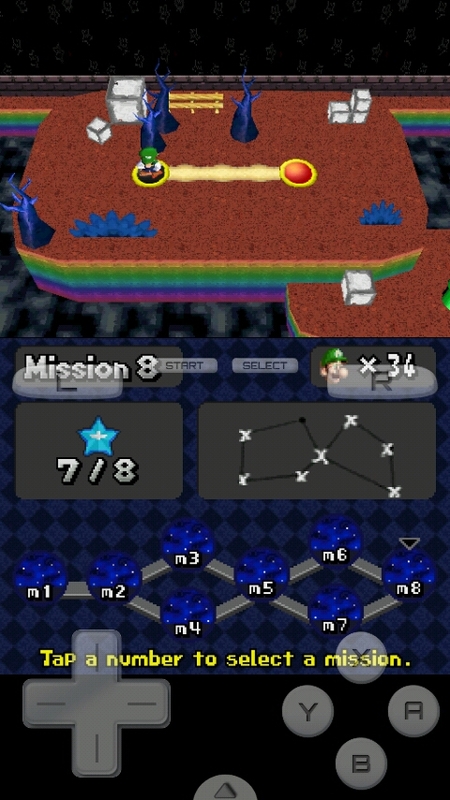 Does this happen in Emulators (MelonDS)? if it doesn't happen on emulator, then it's an emulator inaccuracy. EDIT: or it was just a random crash. surely mariofanatic didn't release an unbeatable game. I started playing. It's fun but the game crashed four times before I could beat the first fortress. Oh and there's something you might as well clear up now: are the assets in your hack free to use, and if yes which of the assets are free to use? I only crashed once so far and it was the pause menu to blame. Well, it didnt crash, per say. The screen turned black and I couldnt see the options, and I accidentally hit quit. Tilesets are free to use, I guess. 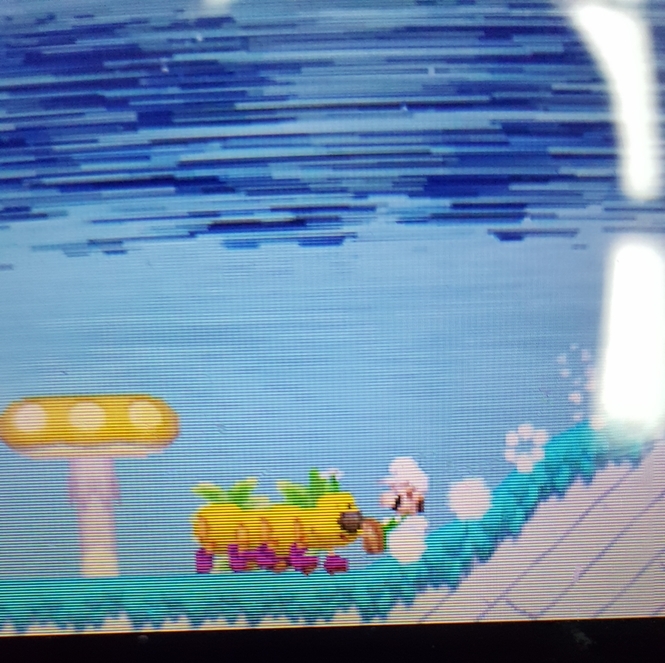 The game crashes when you do a ground-pound-slide into a wiggler, causing the background to glitch out as well. Here's a link to an image of it. I would have embedded it, but it's huge. Are the backgrounds and music free to use, too? Also I don't know if this is the right place to post it, excuse my ignorance. I found a bug that crashes the game. Somewhere in the world (I was actually just wandering around) I killed a koopa and took his shell. I went through some pipes and met a giant piranha plant, I hit it and the game froze. I've got no idea what caused this crash. And just curious: somewhere up in the sky, with the clouds and stars and all, what's the music/original song? Made me very dreamy and all. I've had fun with this hack on my 3ds! Well done. I finally got around to playing this romhack. It was more than worth the wait. This is absolutely phenomenal! Congratulations to MarioFanatic64 for making a romhack as enjoyable as this. I haven't beaten it yet, but what I have played, I've loved. A few of the songs are pretty superb. I could play it on an actual DS (I do own an r4), but I heard that people where have issues with crashing, so I instead emulate it and savestate it every so often. That way I can load back to the savestate in the event of a crash. Is it just me or the intro cutscene is just the regular nsmb one with graphics modified? Nope, it's a slideshow. Maybe you're playing the demo. Im going to redownload it then, because my intro cutscene is definitely not a slideshow.